For the Mets, it's all good right now. A week ago? Not so much. Last Friday’s trade deadline and the weeks leading up to it had to be excruciating for the Mets. The New York media and fans relentlessly voiced their displeasure over the management’s inability, or worse yet, unwillingness to bring in help for the their inept offense. The Mets - particularly their owners, General Manager Sandy Alderson and the offense - were an embarrassment, according to their critics. Most of the New York sports media labeled Alderson a fraud that talked a good game, but was sure to waste the dominant pitching staff he helped assemble. Alderson was basically dared not to make a move. I started to think that might be the preferred occurrence for fans and media, so the horde could justifiably crucify Alderson, as they were dying to do. But, then something happened. A trade. Then another one. And then a big one. The Mets’ low-cost addition of Juan Uribe, Kelly Johnson and Tyler Clippard was a tasty appetizer for the critics. But, after the failed Carlos Gomez trade/Wilmer Flores crying fiasco, the pressure was right back on. Alderson came through just in the knick of time with the acquisition of Yoenis Cespedes minutes before the trade deadline. Suddenly, there’s a buzz, a buzz that hasn’t been seen since Citi Field opened in 2009. The Mets’ average attendance this year is 30,159. On the night that made Wilmer Flores famous, 24,804 people were at Citi Field to witness Flores crying on the field in person. 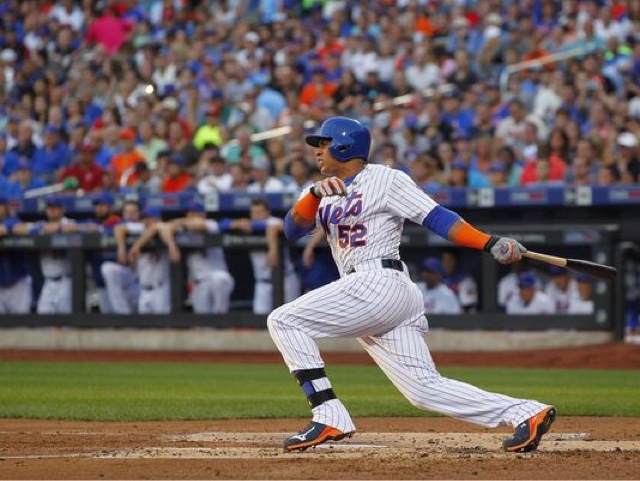 The Cespedes trade was a game changer on and off the field. The average attendance for the Nationals series this weekend was 38,178, about 8,000 above the average. Expect that trend to continue now that management has shown they are serious about building an immediate contender. Thanks to a single move by the General Manager, Mets fans are back on board for the first time in years and for the first time since their beautiful stadium has been called home. There’s a saying, “scared money don’t make money,” and Mets’ ownership should heed that advice from here on out. The better the product on the field, the more likely fans are to support the team, both emotionally and financially. The fans aren't the only ones excited. Daniel Murphy had similar thoughts. It was just a week ago that the Mets looked like a laughing stock. But, thanks to a trade, it’s a new week, a new team and newly energized fan base.